“The BioInitiative Working Group, an international group of scientists, notes that many countries have issued warnings and that the European Parliament has passed a resolution calling for governmental action to address concerns over health risks from mobile phone use. A few studies have suggested that there is an increased risk of cancer for cell phone users with over 10 years of usage. * Cell phone users had an increased risk of malignant gliomas. * Link between cell phone use and a higher rate of acoustic neuromas. 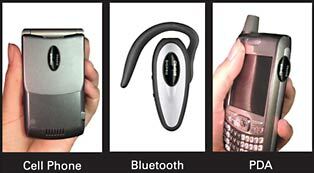 * Tumors are more likely to occur on the side of the head that the cell handset is used. * One hour of cell phone use per day significantly increases tumor risk after ten years or more. A publication titled “”Public health implications of wireless technologies”” cites that Lennart Hardell found age is a significant factor. The report repeated the finding that the use of cell phones before age 20 increased the risk of brain tumors by 5.2, compared to 1.4 for all ages. A review by Hardell et al. concluded that current mobile phones are not safe for long-term exposure.